New fruit fly models of SOD1 ALS may help scientists discover potential treatment strategies for the disease. The knock-in models, developed by Robert Reenan and colleagues at Brown University in Rhode Island, exhibit key signs of ALS including progressive motor deficits due to muscle atrophy and denervation according to a report published online on December 14 in Genetics. The fruit flies, harboring ALS-linked SOD1 mutations G85R or H71Y, experience reduced survival. But like other Drosophila models of SOD1 ALS, do not exhibit motor neuron loss. No signs of gliosis could be detected. The models are the first to recapitulate key aspects of ALS in Drosophila without overexpression of the disease-linked gene. 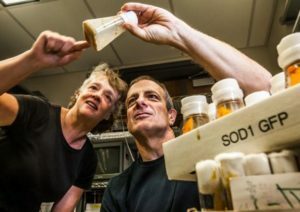 The fruit fly strains will enable scientists to discover potential therapeutic targets for ALS and to screen for potential drugs for the disease. Şahin A, Held A, Bredvik K, Major P, Achilli TM, Kerson AG, Wharton K, Stilwell G, Reenan R. Human SOD1 ALS Mutations in a Drosophila Knock-In Model Cause Severe Phenotypes and Reveal Dosage-Sensitive Gain and Loss of Function Components. Genetics. 2016 Dec 14. pii: genetics.116.190850. [PubMed]. McGurk L, Berson A, Bonini NM. 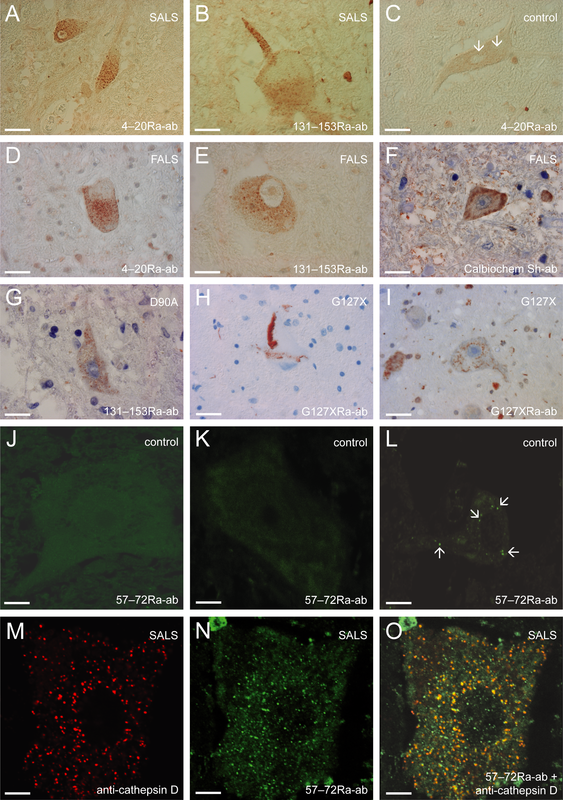 Drosophila as an In Vivo Model for Human Neurodegenerative Disease. Genetics. 2015 Oct;201(2):377-402. [PubMed].